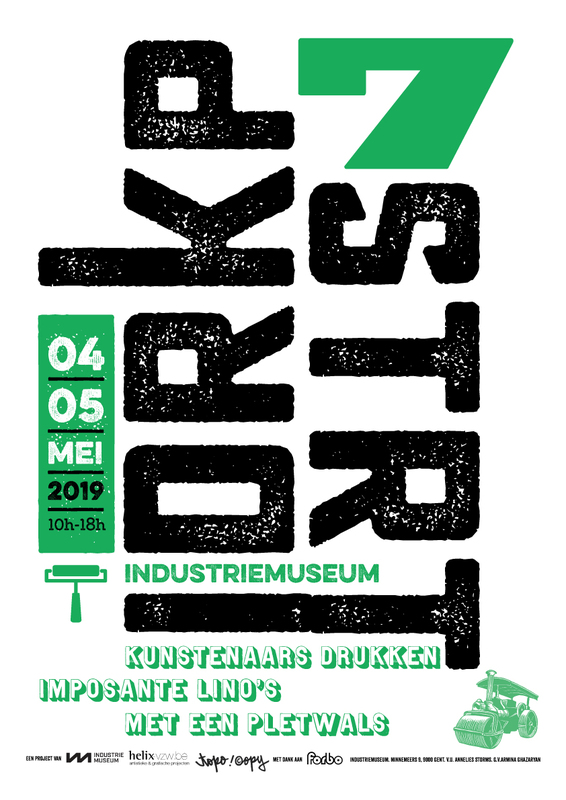 For the 7th time Topo Copy and the Museum of Industry (formerly known as the MIAT) will bundle their forces to organise one more edition of DRUKOPSTRAAT steamroller printing festival. This time the festival will take place just in front of the Museum of Industry which will actually celebrate the reopening of the printing department during the same weekend of 4th & 5th May! 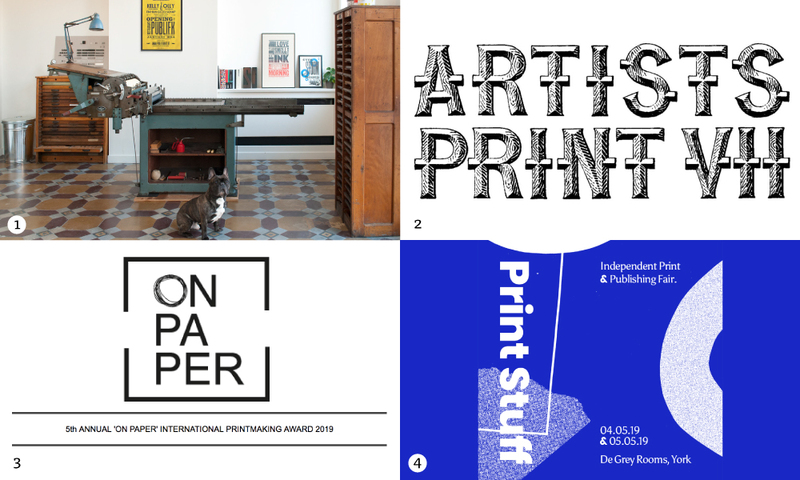 After the successful 1-day letterpress workshop given at the unique location of Patrick Goossens’ Letter-Kunde Press during the 2018 ATypI conference in Antwerp, we have decided to organise a 5-day workshop. Participants will be working with a selection of the materials from one of the most important and exceptional private collections of printing presses, type casting equipment and types in Europe. 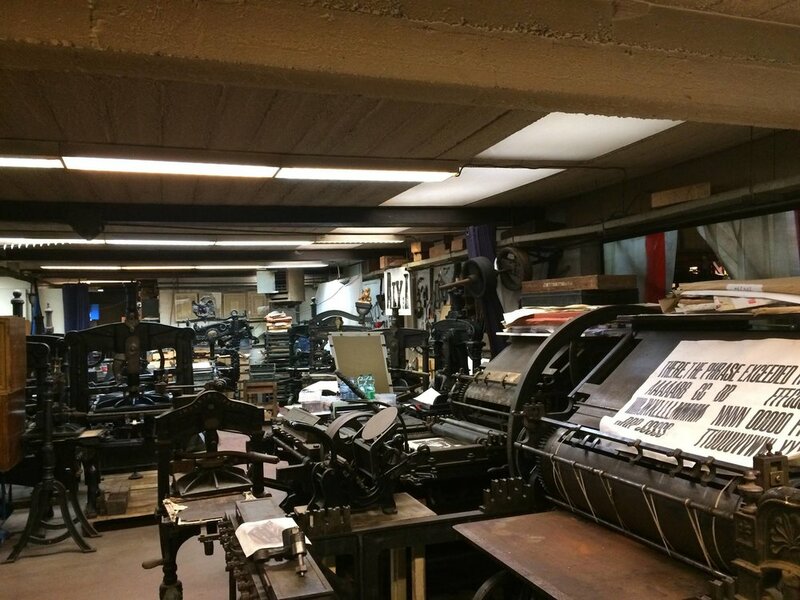 During this 5-day workshop, you’ll be learning the finer details of typesetting, proofing, lay-out, setting up a forme, preparing for and printing. 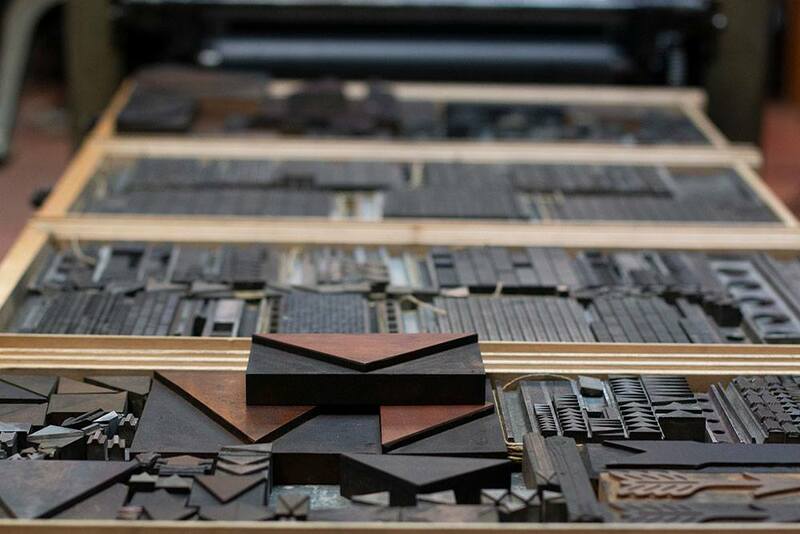 Participants will be able to use the large collection of wood and metal type, to create a small publication. Each participant will design, typeset and print a section. These sections will then be carefully assembled and bound by the participants. Our aim is to offer some demonstrations – such as typecasting and/or engraving – during the workshop. Patrick Goossens started his collection back in the 1970s with a single treadle platen press and a rack of type. Since then Project Letter-Kunde has developed further and now not only covers printing, but also punchcutting, matrix making and typecasting. The large collection is open to practitioners and researchers. Thomas Gravemaker has extensive experience in letterpress and graphic design, working in the UK and in France before setting up his own studio. 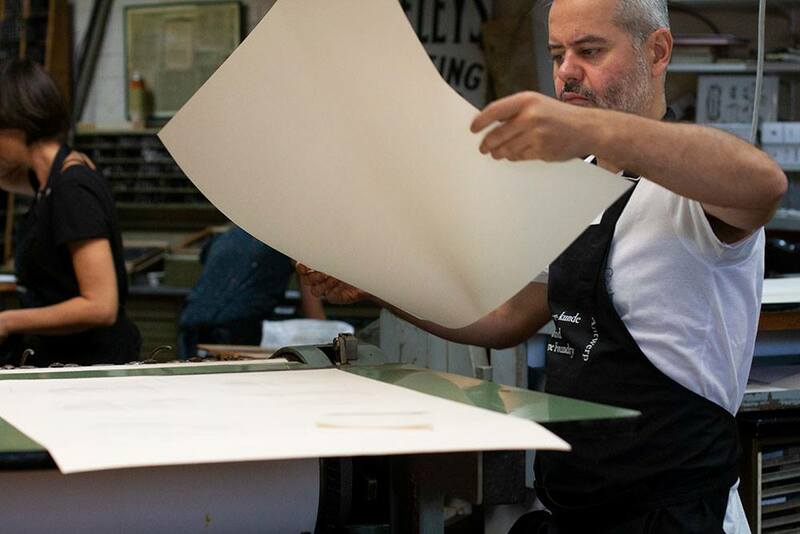 His passion for letterpress began prior to his training at the Rietveld Academie in Amsterdam and has developed over the years. Thomas has worked on private commissions, taught letterpress, and lectured and presented at various international conferences and events. After several years spent in London, Paris, and Edinburgh, he returned to Amsterdam to refine and extend his craftsmanship in his workshop situated in the centre of the city. 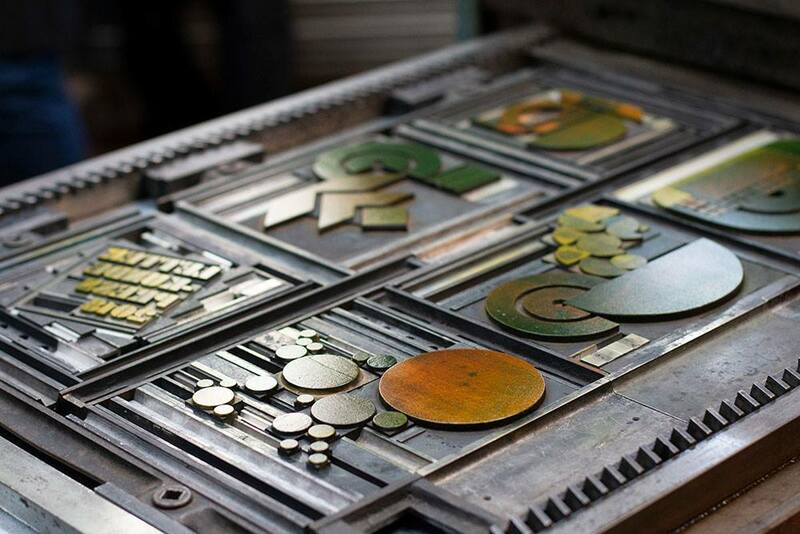 Armina Ghazaryan is a freelance graphic designer and letterpress practitioner based in Ghent, Belgium. In 2008, she joined the printing team of MIAT (the Museum of Industry, Work and Textiles) in Ghent, where she designs and typesets posters using wood and metal type, and catalogs the museum’s wood-type collection. Her works are featured in various publications by Gestalten, Rockport, Rotovision, and BIS publishers. 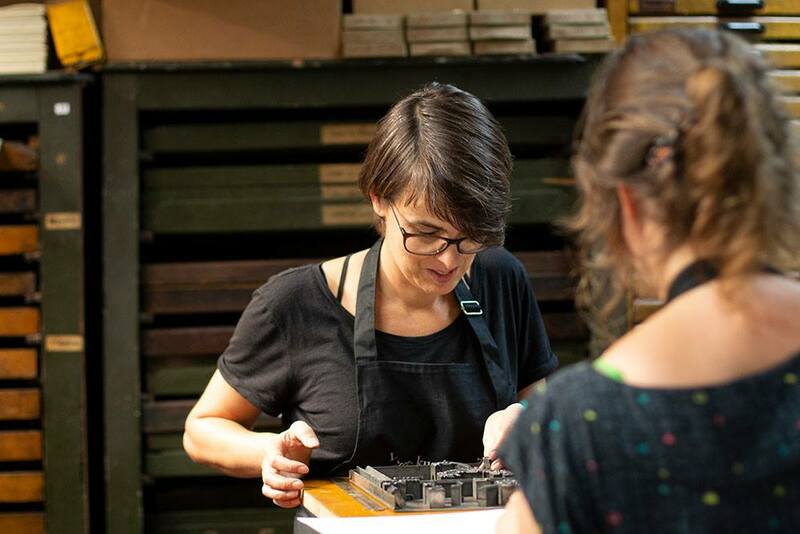 Armina co-founded the “Letterpress Corner” printmaking studio in Ghent, which has a primary focus on running letterpress workshops for groups and individuals looking to acquire a practical knowledge of the craft. Some letterpress experience is desirable. Coffee, tea, etc. will be provided. Lunch is not included. 2. 'Man in the rain' opens on Saturday 19 January and runs until 10 March 2019 at the Keteleers gallery in Antwerp (BE). The exhibition will focus on the artist's graphical work and recent drawings. After attending Zomertyposium last year I was curious about this years' edition and as soon as the date had been announced quickly bought a ticket (as this event is usually sold out quite fast). This year it focuses on the collaboration between the illustrator, the typographer and the printer and with printer Arie Lenoir, cartoonist Joost Swarte, typographer Gert Dooreman, journalist Walter Pauli and printmaker Vladimir Ivaneanu the line-up looked quite promising.